My friend CrystalFissure was able to emulate the Japanese version of the game, and if you don't know, the Polystation was a Japanese exclusive, and it let you play handheld minigames connected to the PSX game, on the Polystation after you catch a dragonfly egg, you get to raise them in the Polystation game. He was not able to set up the Polystation minigames, but he was able to find the dragonfly eggs in the game. One in each level. This feature is the reason I've been wanting the Japanese version of the game and a Pocketstation since I was 11. I have bought the Japanese version last year and I just need a Pocketstation and a Japanese Playstation to play it on. It's really weird that the dragonfly eggs are so much bigger than the dragon eggs. They're almost as big as Spyro! Is there any real purpose to them? It's neat, regardless. Surprising it took this many years for someone to put a video out on it. There is a purpose. They work in conjunction with the PocketStation device. You raise your own Dragonflies! Nowadays that would be with an iPad, or mobile phone. lol Or some type of tablet. Even though dragonfly eggs are inspiring collectibles, I must day that based on the footage I saw, the Japanese version was horrible in pure point of view of gameplay. Cameras etc. seem to be stupid compared to the eventual product that hit the majority of western hemispheres gaming markets. Did these eggs have any value in them to add to the game itself? Yeah, you're right! The PocketStation looked really cool. And about the gameplay of the Japanese version, it is indeed garbage for the most part. They took away the fluidity and good camera and just... ruined it. Terrible shame. CrystalFissure forgot an egg in here, have a fun game, try and find it, WITHOUT looking in the comments, cheaters. Very interesting how there is 2 in the level, we are thinking Gnorc Gnexus has no egg, but hey, it COULD have one once you open the dragon head to Gnasty's boss though. Damn, so excited to know, ahaha. ...All they had to do was change the text. How could a simple localisation with a single added feature be messed up so badly? That looked horrendous. ^ Yeah. It was due to Sony Japan listing a bunch of complaints that may hurt sales. Such as it playing too fast and could give kids trouble. So they made it slow, ruined the camera angle and general experience. It's still a good game, but that's only because the rest of it stayed such as gems, dragons, levels, music etc. 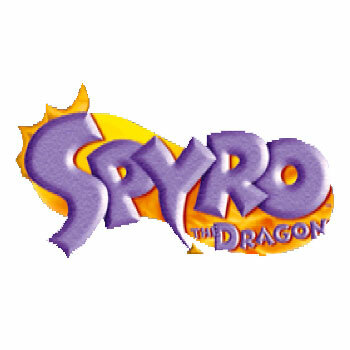 But it's a total disappointment and one of the main reasons why Spyro never made it past 2 in Japan. I'd argue that if it was a hit in Japan like Crash, such radical changes wouldn't have been made so soon. Japan is a HUGE market. Asia in general. Here are the final two parts; enjoy!